Flip Out Mama: Primo Activewear Review and GIVEAWAY!!! I recently had the opportunity to review a Tee Shirt from Primo Activewear. I was very excited for this review because I love the concept behind the company. 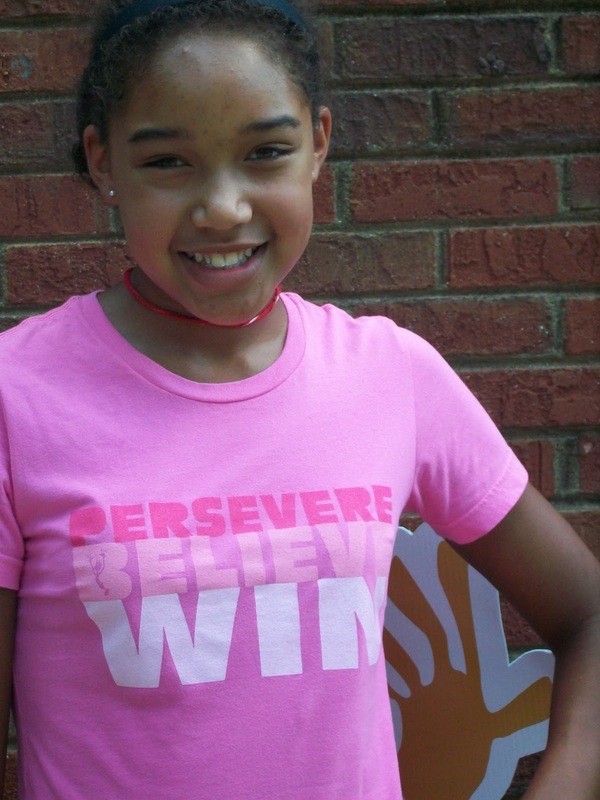 Primo Activewear was created in 2007, by a mom, who knows just how competitive kids can be. 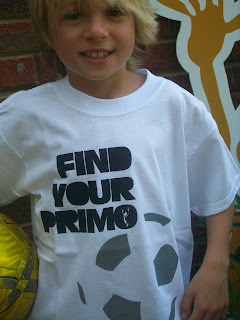 "Primo" and "PrimoDonna" are the characters the brand is based on, and they motivate kids to be the best they can be. The whole "Primo" concept is about being your best, trying your hardest, embracing your challenges, and succeeding in whatever it is that you do. "Primo" and "PrimoDonna" are a visual reminder to kids to keep trying, rather than just hearing the words. The sweeties at Primo Activewear are sponsoring a giveaway, too! One lucky Flip Out Mama reader will win their choice of any shirt from Primo Activewear! Here's how to enter! 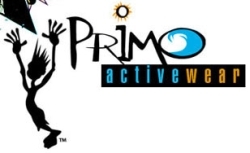 Mandatory Entry: Visit Primo Activewear and look at all the cute shirts they have. Comment back here and let me know which shirt you would choose if you are the winner! +1 Entry: Follow your favorite Flip Out Mama on Facebook. +1 Entry: Follow Primo on Twitter. This contest will end on 10/27/2010 at approx. 9pm. Winner will be chosen via Random.org, and will have 48 hours to respond to email or a new winner will be chosen. Open To US residents only please. Don't be a cheater, they never prosper. :) I am not responsible for prizes that are lost, damaged, or otherwise not received. disclosure: I received a sample product in order to provide this review. All opinions are my own and no monetary compensation was given. I would do First one up rocks! My son would think this shirt was pretty cool! 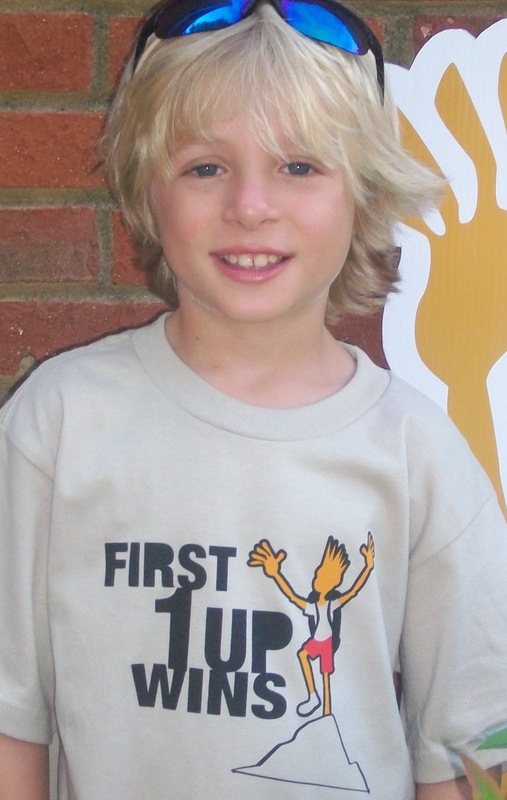 the First 1 Up Wins - Snowboarder shirt is cute. 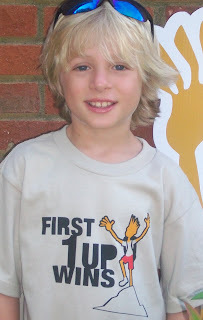 I would love the First 1 Up Wins Snowboarder shirt - my son is a snowboarding instructor during the winter. I entered the FIVE Accessories giveaway. I entered the Mavea Water Pitcher giveaway. I entered the Alaya's Herbal Water giveaway. I entered the YoYo Lip Gloss giveaway. I would do First one up rocks! I would choose the Believe shirt. It reminds me of my late daughter, who always wrote and said she believes in herself. I like the BU - Be Unique shirt. Following you on FB (Wendy T). Mandatory Entry: I would choose the "Sports T-shirt--Baseball" for my son. Extra Entry: I "liked" Find Your Primo on Facebook. I would pick the Sports T-shirt - Baseball for my son if I won! Extra Entry: I follow you on Facebook. I fanned Find your Primo on Facebook and left them a comment! Extra Entry: I entered the "PetCakes" giveaway. I fanned you on Facebook also! I commented on her Make it a Good Day! Post! Extra Entry: I entered the Faber Castell giveaway. Extra Entry; I entered the PowerSquid giveaway. Extra Entry: I entered the Redi Shade giveaway. Extra Entry: I entered the Jumbies giveaway. Extra Entry: I entered the Azuri Scarf giveaway. Extra Entry: I entered the Blue Gala giveaway. I like the Believe shirt. I like the Sports T-shirt - Baseball tee. I like the persevere believe win shirt. I would go for the sports t-shirt, baseball. I would love the First One Up Wins Snowboarder for my son. Sometimes I dont think he realizes how awesome he is! My son would love the soccer shirt or the Believe shirt. pridelandmama at hotmail dot com.